When most people think of Iowa, they think of cornfields and caucuses. What they might not realize is that the state is also a major epicenter for libraries. Iowa ranks fourth in the nation (behind New York, Texas and Illinois) for sheer number of public libraries — 544 of them in a state with a population of just over 3 million people. Iowa’s largest city, Des Moines, has a population of 250,000, with double that number in the metro area. A few other small cities dot the landscape, but the majority of Iowa’s citizens live in small towns of 2,500 or fewer. The children who live in poverty in Iowa compose 20 percent of the state’s children. Many of them are in areas where their families are impacted by the realities of rural poverty: isolation; limited social service options; and limited access to information about good parenting, children’s developmental issues, and resources for helping children build the cognitive and social skills that are the precursors to literacy. 1. Offering continuing education for youth services librarians on effective programming and outreach to families with children age 5 and under. Over the past three years, I have partnered with independent consultant and early literacy expert Dena Goplerud (a former employee of the Iowa Department of Education) to deliver a series of face-to-face workshops for librarians around the state on topics that include child development; new books for children from 0–5 years; principles to use in choosing high-quality books; building partnerships with other community agencies that serve young children; incorporating play into library space and programming; and working with daycare providers and preschools in their communities. 2. Hosting a biennial two-day conference for youth services librarians in public libraries called Kids First, which includes a strong component of early literacy continuing education. Past keynote speakers have included Dr. Dipesh Navsaria, pediatrician and early literacy advocate, and David LaRochelle, winner of the 2014 Bridge to Reading Picture Book Award. Sponsored by The State Library, the conference features 32 breakout sessions, with approximately 25 percent of those on topics in early literacy. Breakout session topics have included training for outreach into in-home daycare; partnering with the U.S. Department of Agriculture to provide meal sites during the summer at public libraries; child development; and early literacy storytimes. At our 2015 Kids First Conference, we also offered a full-day post-conference with Saroj Ghoting, who presented her “Storytimes for Everyone” workshop to 60 attendees. 3. Providing state membership in the Collaborative Summer Library Program (CSLP), a now-international grassroots organization of librarians whose members develop programs and resources for summer library programs. 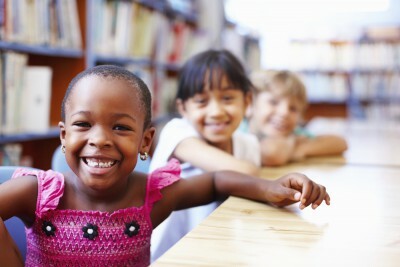 A well-established part of the CSLP is the Early Literacy Manual, which offers Iowa’s libraries ideas and resources for including very young children in summer reading programs. As a member of the Early Literacy Committee for several years, I have been part of the planning process and have encouraged that the materials be aligned with national early literacy standards (such as those developed for Head Start). 4. Developing relationships between The State Library and other state-wide agencies serving young children. One of these relationships is with the Iowa Association for the Education of Young Children (IAEYC). For the past two years, Dena Goplerud and I have co-presented sessions at the IAEYC’s annual conference on why reading with children is so important, how to choose books for children 0–5 years, and excellent books to share with young children. We also encourage early childhood educators and care providers to seek out their public libraries for programming and resources. Another organization we work with is Child Care Aware of America. Their state-wide program, Iowa Child Care Resource and Referral (CCR&R), supports quality childcare throughout the state. Earlier this year, at CCR&R’s request, we presented a workshop to a group of about 120 childcare providers to help them understand the relationship between children’s cognitive development and choosing high-quality books for children 3 years and younger. 5. Sponsoring an annual children’s choice book award geared to children age 0–5 years through The Youth Services Subdivision of the Iowa Library Association. The Bridge to Reading Picture Book Award promotes early literacy and reading to children through quality picture books that are nominated by a committee of librarians, teachers and early literacy leaders. Librarians, daycare providers, preschool teachers, kindergarten teachers and parents are encouraged to read these books aloud to young children, and then choose their favorite books through a state-wide balloting process (materials for which are on the website). The statewide winner from 10 finalists is selected by children in schools and daycares and is announced at the Iowa Library Association conference in October. This award was developed by Danielle Day of the Carnegie-Stout Public Library in Dubuque and was initially a local grant-supported program in Dubuque. The Iowa Library Association’s Executive Board approved a proposal to take this on as an ILA-supported award in 2013. 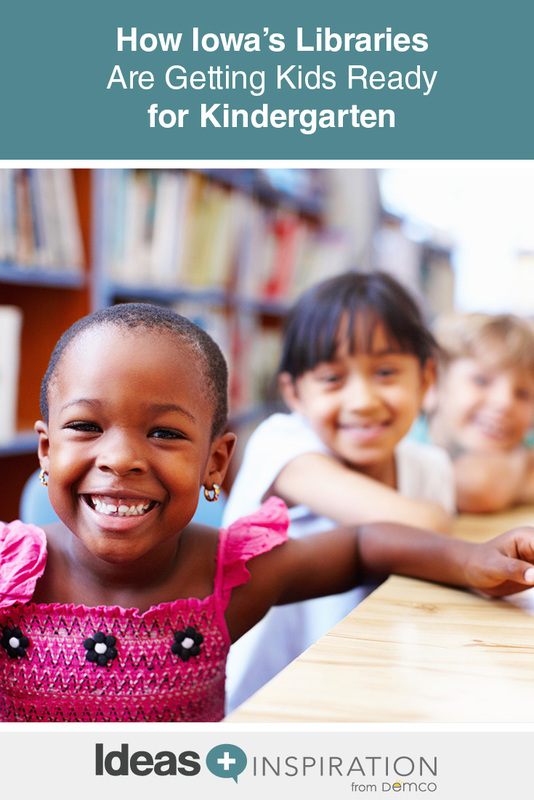 These are the major ways in which we provide continuing early literacy education for librarians and encourage libraries to participate in community-building and form partnerships with other organizations to support Iowa’s youngest citizens. From the literacy-rich environment of Iowa City, a UNESCO City of Literature and home of the University of Iowa’s Writers’ Workshop, to the smallest rural community in the state, we strive to support the provision of quality early literacy programs and resources for all Iowa families in the state’s 544 public libraries. Merri is the Youth Services Consultant with the State Library of Iowa. She has held this position for six years and previously served in a similar capacity for four years at the Metropolitan Library System in Illinois (now part of RAILS — Reaching Across Illinois Library System). Merri has also been an academic librarian, school librarian and publications manager for the Young Adult Library Services Association (YALSA) and the American Association of School Librarians (AASL), both divisions of the American Library Association. Her primary responsibilities include providing consulting and continuing education for Iowa’s public youth services librarians; managing federally funded programs (the biennial Kids First conference and the annual summer library program); serving as liaison between the State Library of Iowa and the Iowa Department of Education and with Iowa Public Television. She holds a master’s degree in Library and Information Science from Dominican University in River Forest, Illinois, and a bachelor’s degree from the University of Chicago.